When the market consolidates – it can do so in an A-B Mountain pattern as one possibility. They look like mountains where it peaks at the top of A – and then falls back down in B — before resuming the main pattern of the surrounding structure. The A-wave up – is basically a failed 3rd wave – and should not be bought. 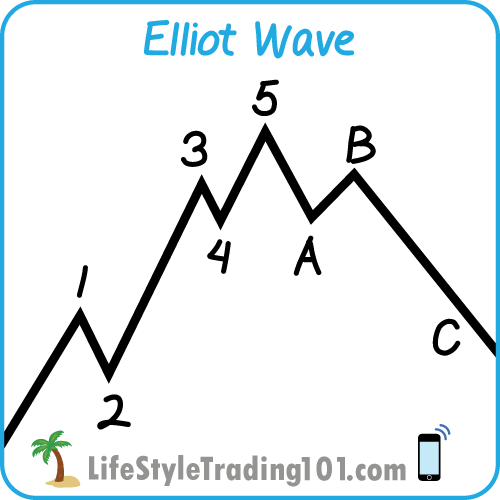 Instead, any existing positions (if intraday trading) should be sold as the 3rd wave is developing – because that 3rd-wave looking wave will fail and turn back down towards support. The bottom of the b (bottom of the mountain) – is where you should buy to get the best price and best risk/reward ratio. 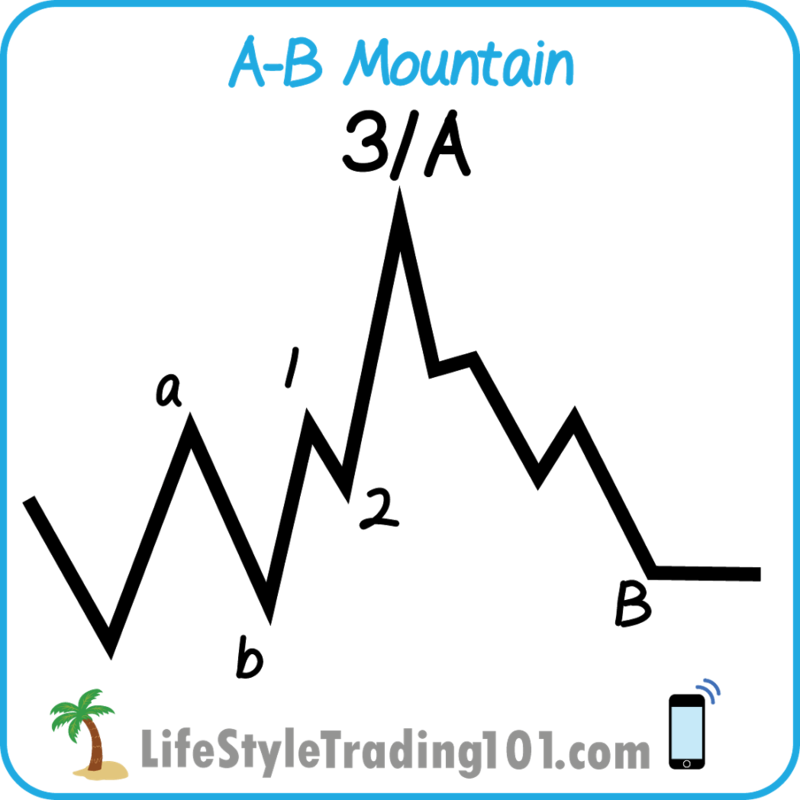 Notice the Orange box is an A-B Mountain – within the larger A-B Mountain in blue that developed. This consolidation happened as there was several days until a major market event — Britain potentially leaving the European Union (called Brexit). Given this situation – any big move to the upside — should be sold because the 3rd wave will fail — instead it would be the top of the mountain. Otherwise, the selloff would bring is back to the bottom of the mountain. While the S&P500 had an A-B Mountain – the Russell had the following setup in blue box above and zoomed in below. Once the market dropped below the black line — then we know this is a failed 3rd wave. What happens next is the market would fall below the pink wave 2 before turning back – so it is important not to dip buy as the market falls – until after the market close. Here’s an example of an A-B Mountain where the bottom of the B – breaks the low of the A — multiple times — stopping everybody out – before finally reversing and rallying. Notice the lows are broken at 7am as well as 10:30am — before finally reversing. This was also a Fed Day — but the Fed minutes at 2pm didn’t do too much to the market. A-B Mountain baselines are not always rock solid buy entry points! we formed an A-B Mountain pattern, but that doesn’t mean that baseline won’t break. Notice the A-B Mountain pattern appearing on January 10 at the 2260 ES level. We reached up towards 2272 ES only to pull back down to 2260 into midnight. The next day going into the Trump speech at 11:30am or so, we attempted a move up – but then sold back off below the baseline of 2260 ES into 2255 ES. From 2255 – we ended the day towards 2270 once again. As you can see, the end of day rally on Jan 11 did not hold – as overnight we dropped – and the next day on Jan 12 right at the open – we dropped yeet again – piercing the 2260 baseline of the A-B Mountain once again. To make better sense of this, you have to zoom in just a bit and recognize the formation of the basic Elliott Wave pattern. In fact, if we were to anticipate this – we should have started anticipating this pattern as the A-B Mountiain pattern was forming – recognizing that we ideally should pierce the low of 2254.75 – if this were to be a textbook setup. The pullback to 2255 ES on Jan 11 was close – but if the pattern starts breaking down, then we need to be open to the possibility of one more break of that 4th wave support level – which is what happened.